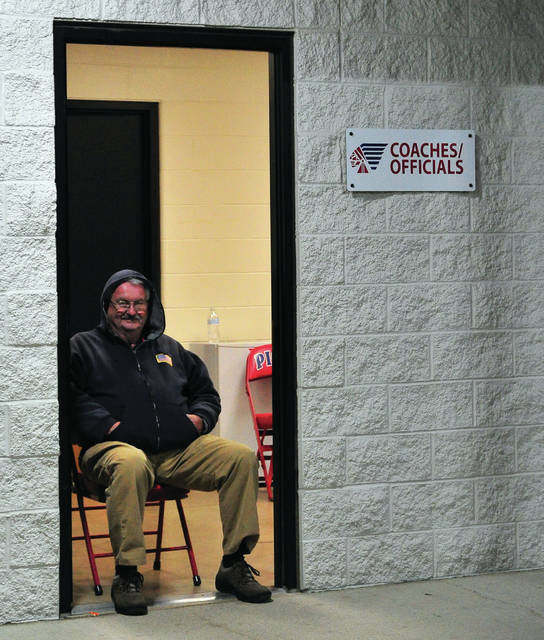 Mike Ullery | Daily Call Cecil Stewart of Piqua works the officials locker room during Friday’s OHSAA state semi-finals gootball game at Alexander Stadium/Purk Field. Piqua game workers continue to work playoff games well after the regtular season his finished. 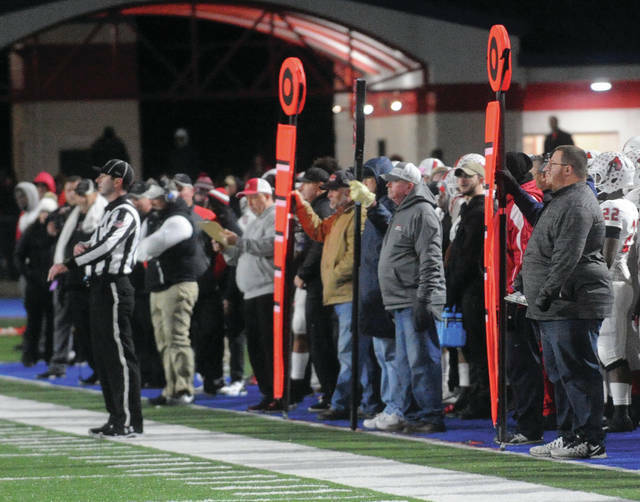 Mike Ullery | Daily Call Piqua football’s “chain gang” works the sidelines during Friday’s OHSAA state playoff football game at Alexander Stadium/Purk Field. Stadium workers, from sidelines to ticket booths and parking lots continue to work playoff games well after the regular season. Cecil Stewart of Piqua works the officials locker room during Friday’s OHSAA state semi-finals gootball game at Alexander Stadium/Purk Field. Piqua game workers continue to work playoff games well after the regtular season his finished. Piqua football’s “chain gang” works the sidelines during Friday’s OHSAA state playoff football game at Alexander Stadium/Purk Field. Stadium workers, from sidelines to ticket booths and parking lots continue to work playoff games well after the regular season. https://www.dailycall.com/wp-content/uploads/sites/30/2018/11/web1_112318mju_fb_playoffs1.jpgMike Ullery | Daily Call Cecil Stewart of Piqua works the officials locker room during Friday’s OHSAA state semi-finals gootball game at Alexander Stadium/Purk Field. Piqua game workers continue to work playoff games well after the regtular season his finished. https://www.dailycall.com/wp-content/uploads/sites/30/2018/11/web1_112318mju_fb_playoffs2.jpgMike Ullery | Daily Call Piqua football’s “chain gang” works the sidelines during Friday’s OHSAA state playoff football game at Alexander Stadium/Purk Field. Stadium workers, from sidelines to ticket booths and parking lots continue to work playoff games well after the regular season.